The TunePhonik Laser Cut LP Record Holder is the perfect way to stack and organize 7" 45s, and 12" LP albums. With a sophisticated look and practical design, this vinyl holder is a stylish way to keep your favorite records safe and all in one easy-to-find place. 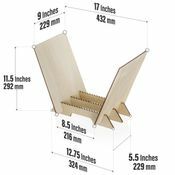 This classic-style record holder is made of lightweight yet durable wood with a smooth and natural finish that is a more attractive and sturdier alternative to plastic record organizers. Its minimalist design is both modern and reminiscent of the classic-jazz era; making it an elegant addition to your den, bedroom or wherever you listen to your favorite music. An economic LP organizer that be can be placed on a table top or on the floor, the unique safety grooves and elevated design will keep your records upright and safe from liquid spills. Avid vinyl fans know that stacking albums vertically helps prevent dust and safeguards precious records from sagging, bending, or deforming. 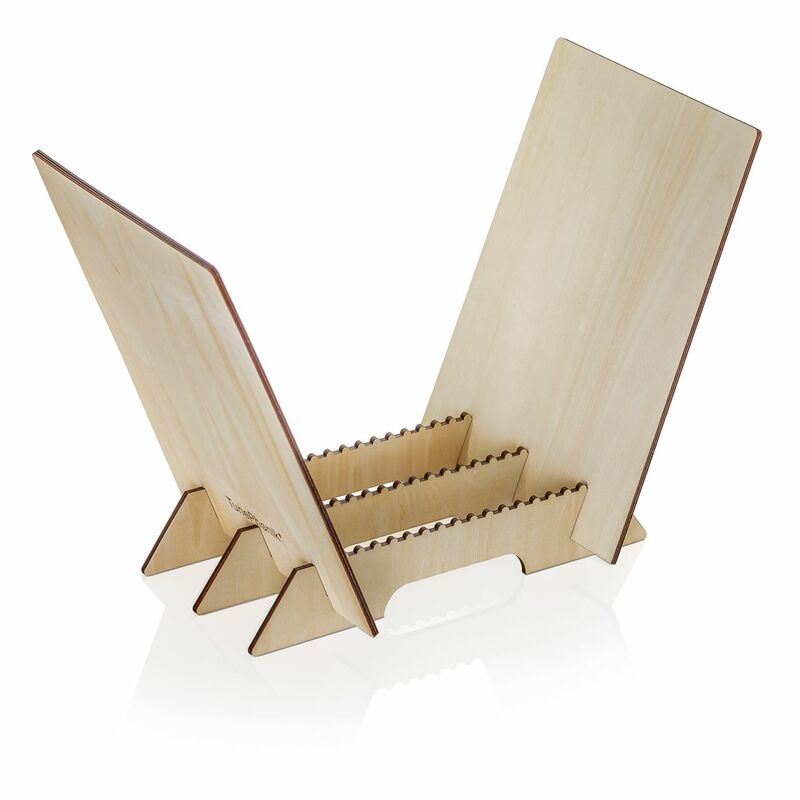 As the design is extremely lightweight, it disassembles quickly, and makes it easy to store and move. Plus, assembly couldn't be simpler with no tools or glue needed. 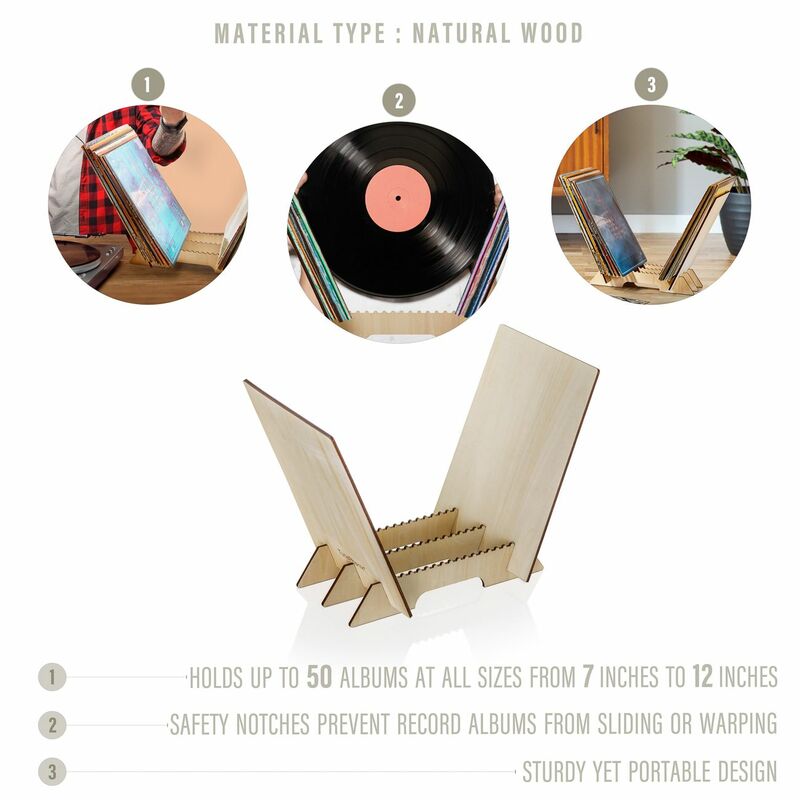 Simply slide the five wooden pieces together and start organizing your record collection. The natural wood is also precision cut with laser technology, so each piece fits like a glove. 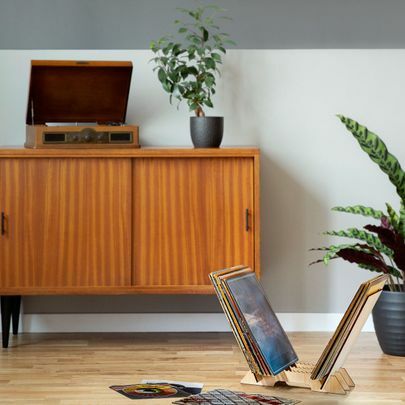 If you've been looking for a vinyl holder that is both efficient and sleek, both modern and retro, the TunePhonik record organizer holds up to 50 albums and will add elegance and functionality to any space. 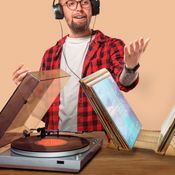 Whether you're in the mood for jazz, classical, blues, or heavy metal, your records will now be both easy to find and look dignified—a combination any vinyl enthusiast will appreciate. Copyright © Prosumer's Choice. All Rights Reserved. 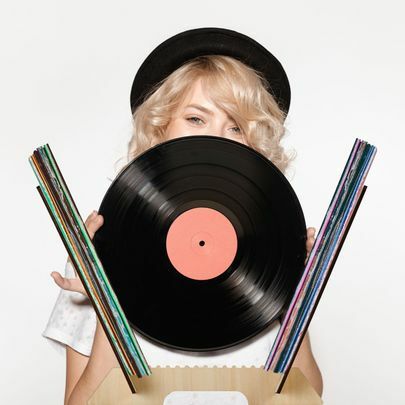 Prosumer's Choice and the Prosumer's Choice logo are registered trademarks of Prosumer's Choice. All other product names are trademarks or registered trademarks of their respective companies.